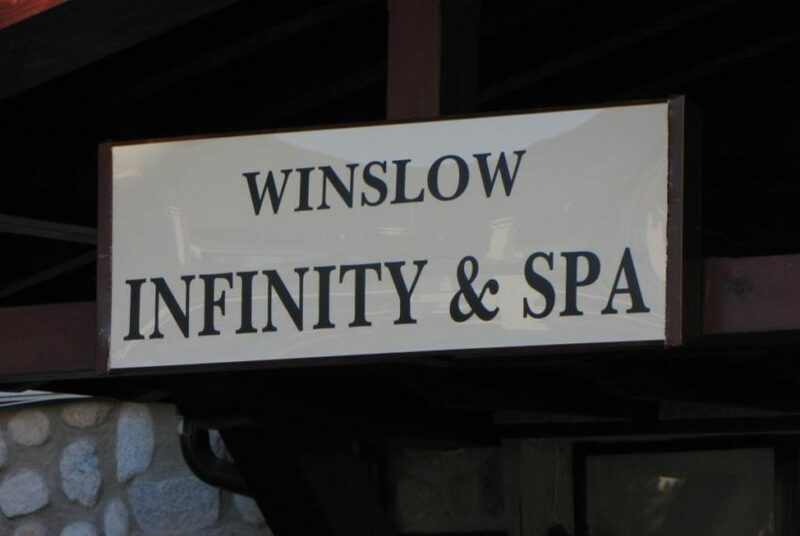 The apartment is in the Winslow Infinity complex and has been built to a high standard. 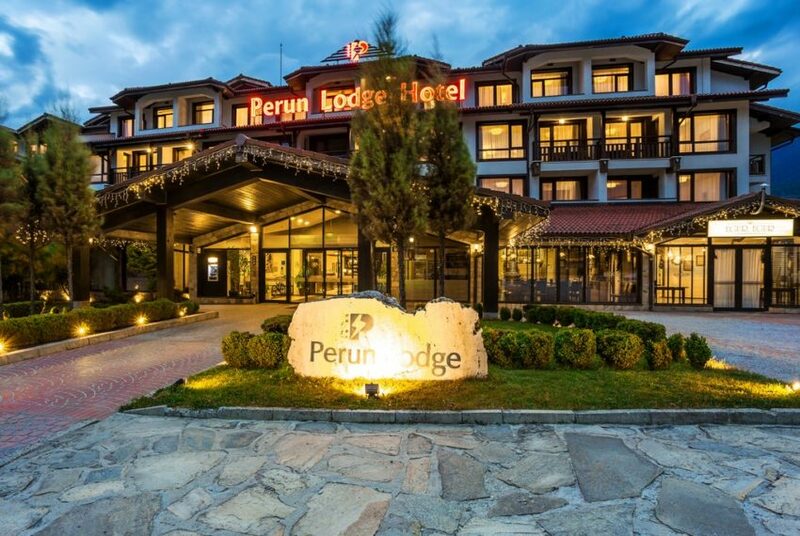 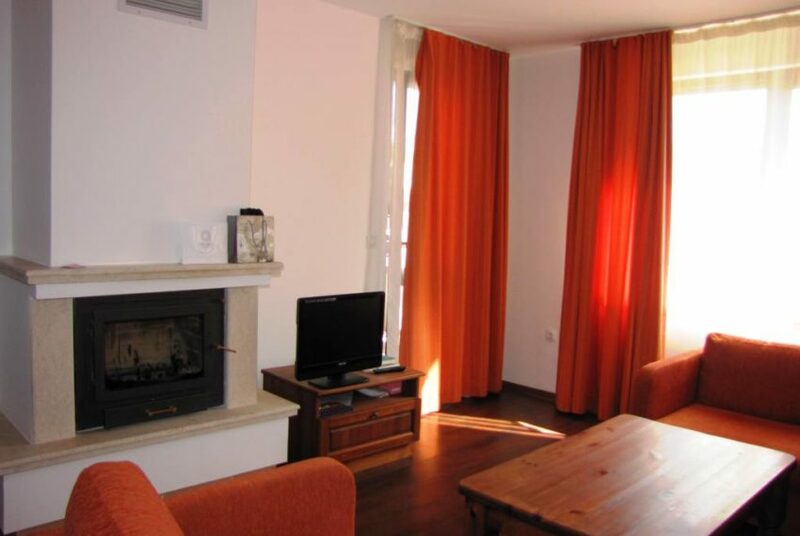 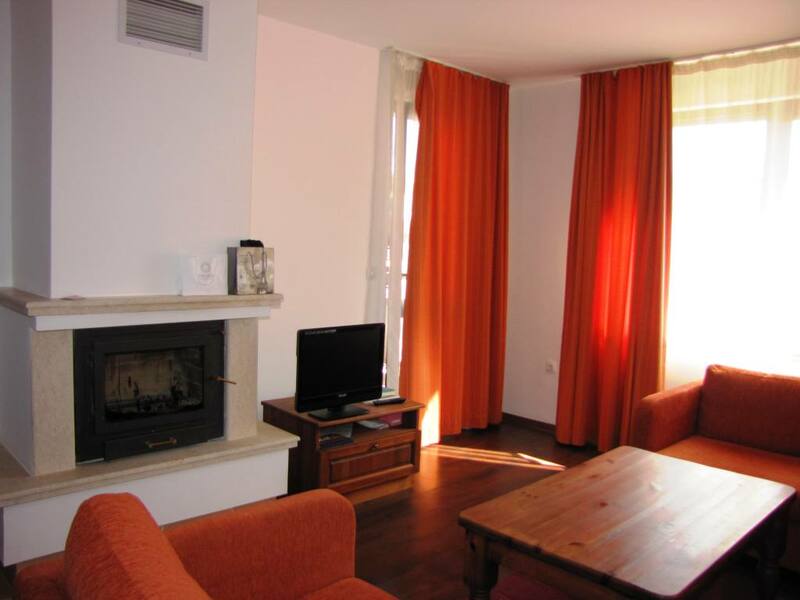 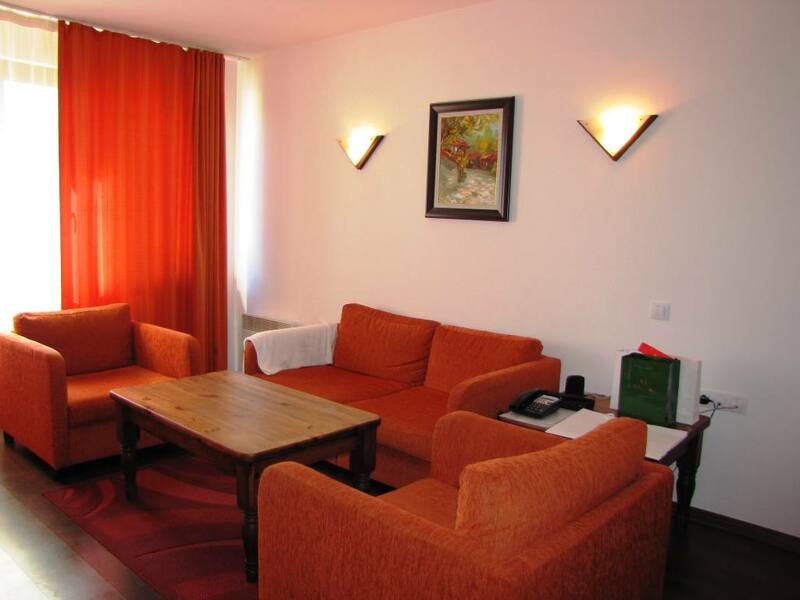 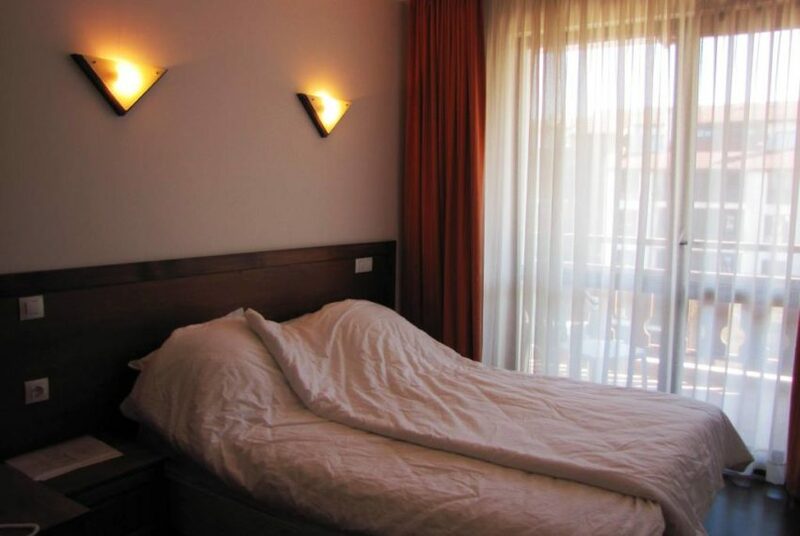 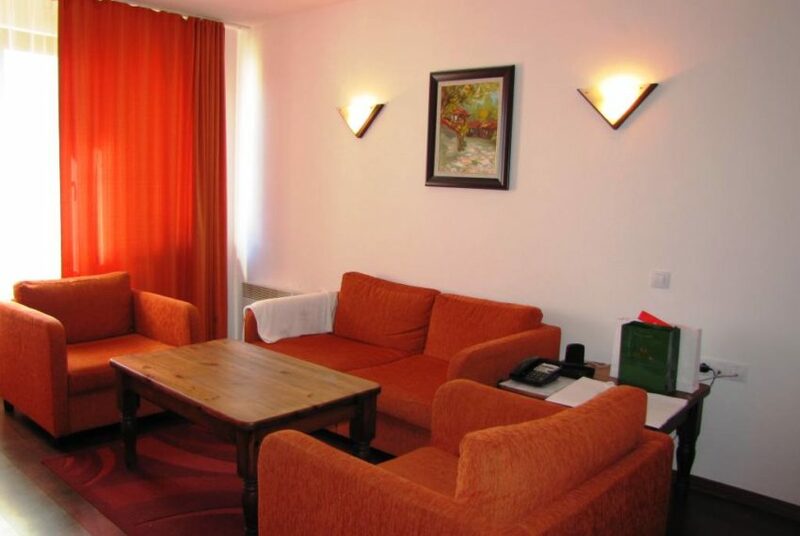 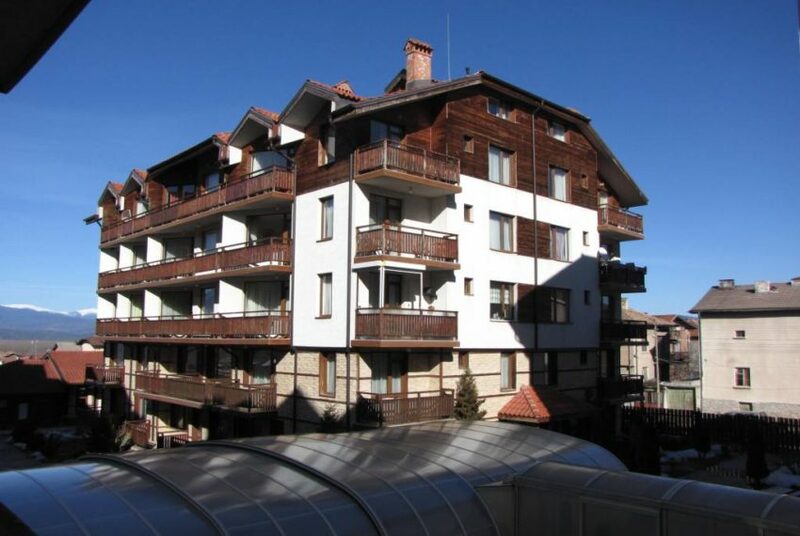 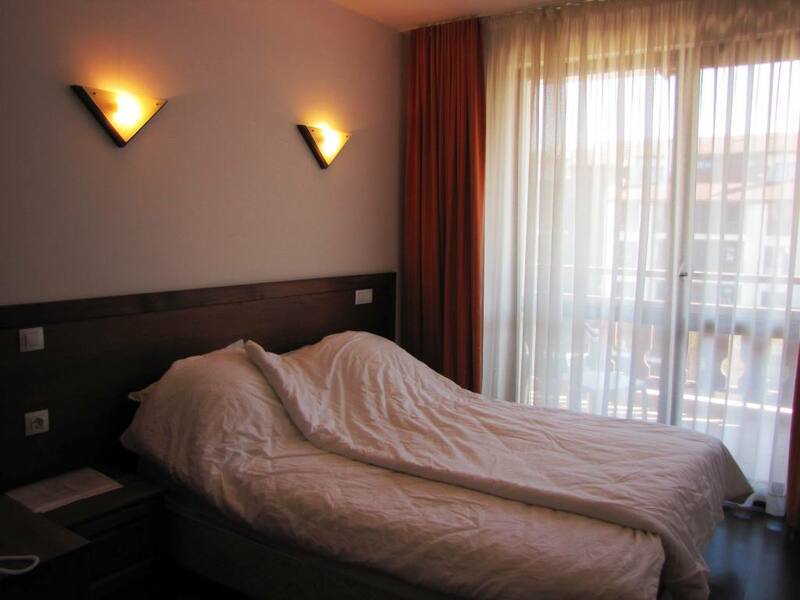 The complex is situated in a residential area yet only a shortly walk to the Gondola with its surrounding shops, bars, restaurants, ski hire, and night clubs. 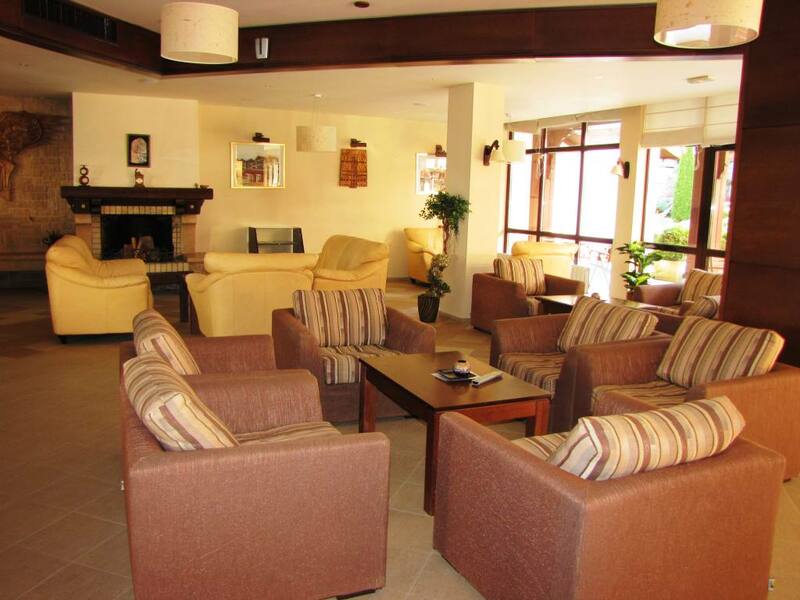 Plenty of Apres Ski at hand. 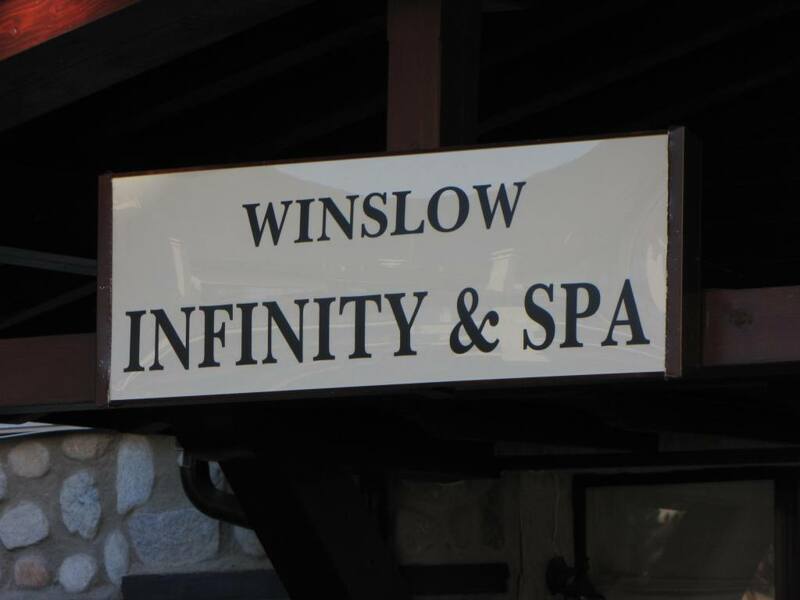 Winslow Infinity offers guests and owners Spa facilities including an indoor swimming pool, sauna, jacuzzi and fitness room. 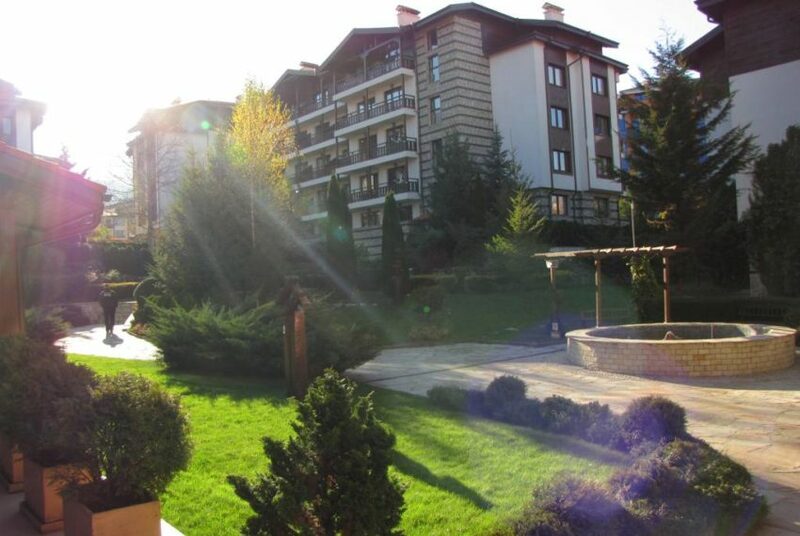 The complex is well managed with a surrounding wall and well kept gardens and child’s play area in the middle. 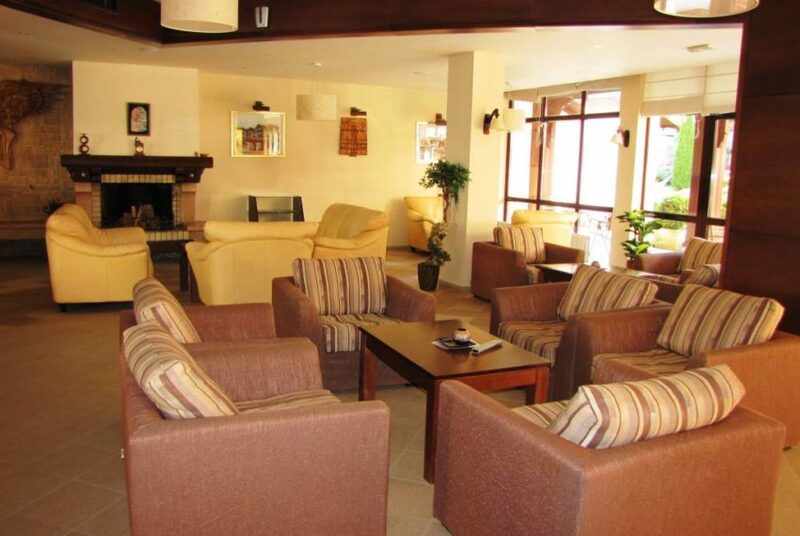 It has 24 hours security and there is an on site restaurant, lobby bar, cafe and pool table. 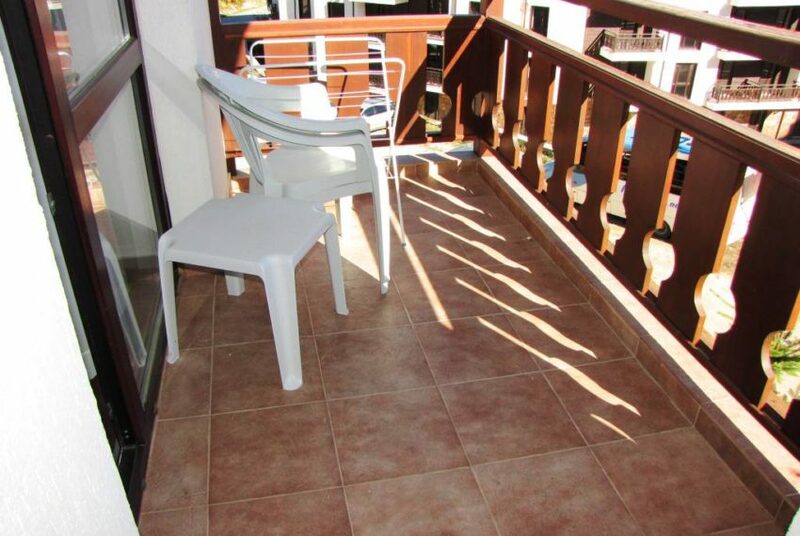 Everything you and your guests could want on holiday. 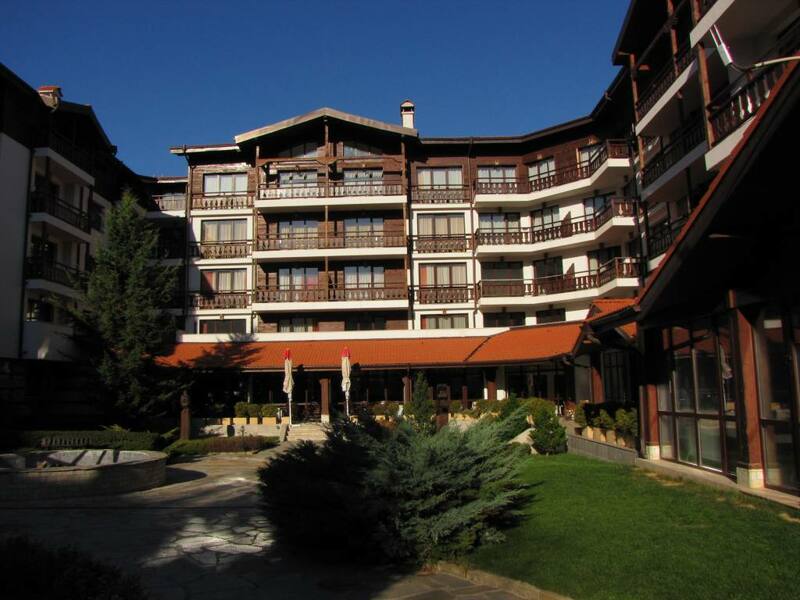 The facade is the traditional stone and wood finish typical of the area and adds to its surroundings. 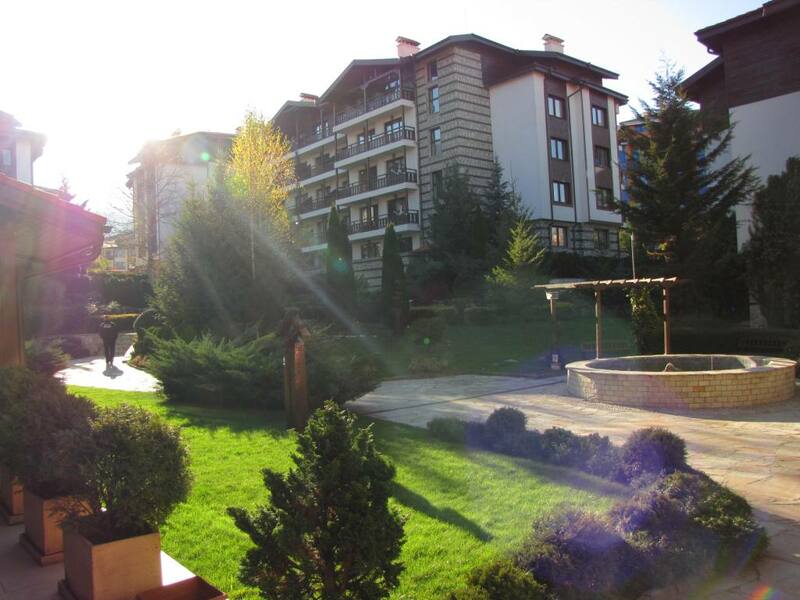 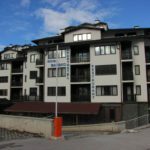 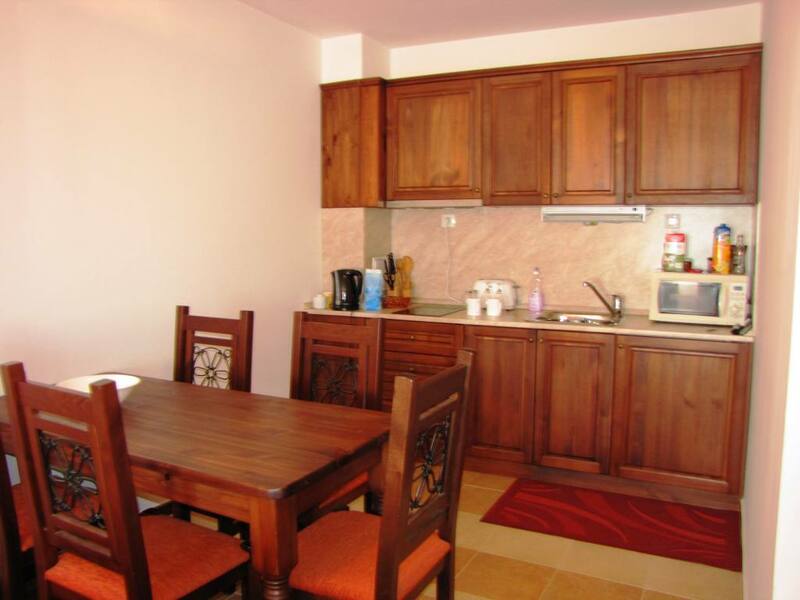 This 1 bedroom apartment for sale in Winslow Infinity and Spa Bansko is perfect for personal use or renting out. 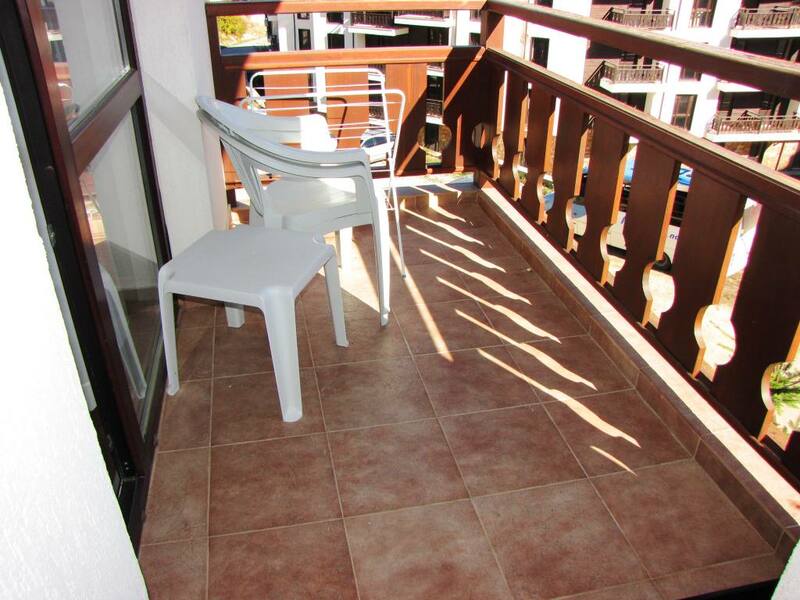 The apartment is on the 2nd floor and has a working elevator for access. 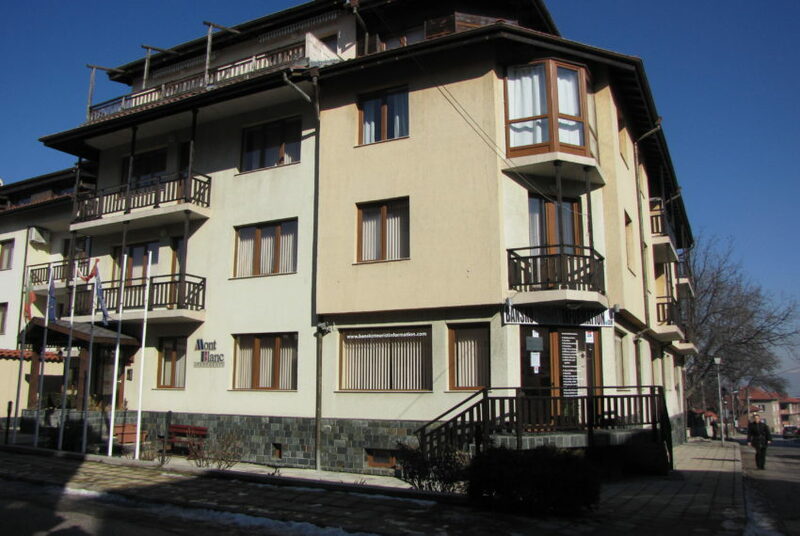 It is east facing with a good sized balcony to enjoy the fantastic mountain views. 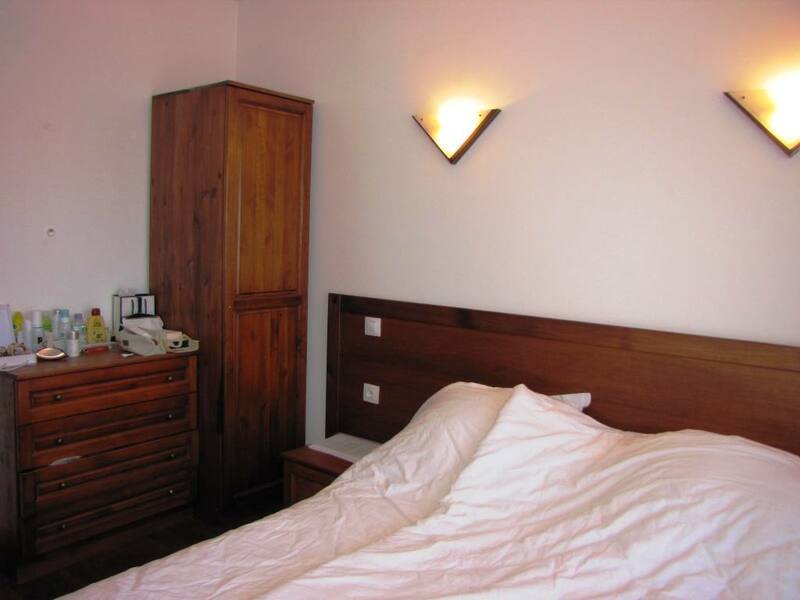 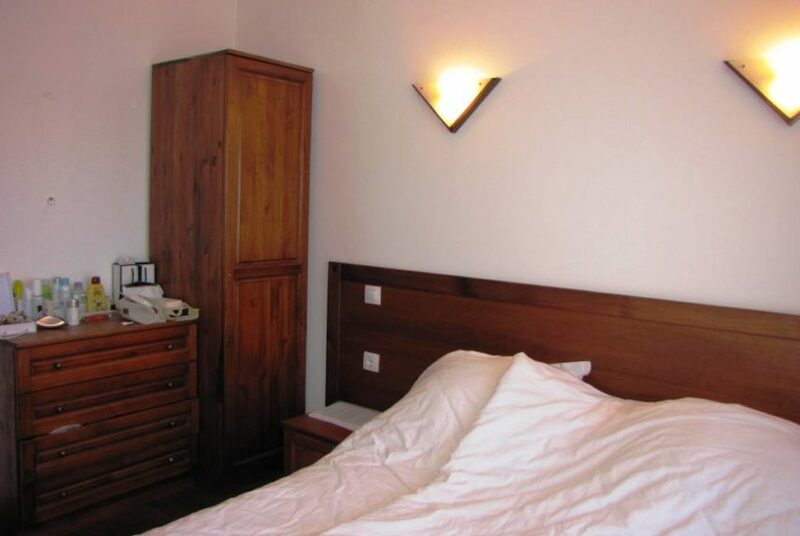 The apartment has 1 very spacious bedroom with double bed, wardrobe and chest of drawers. 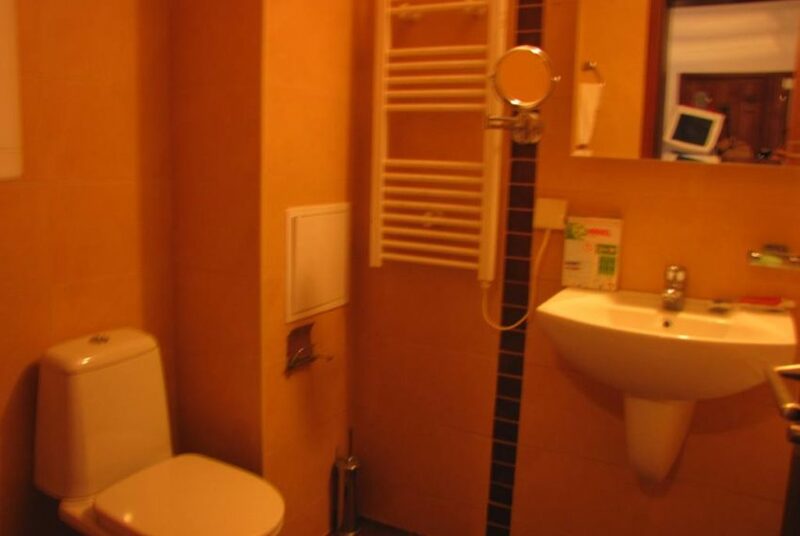 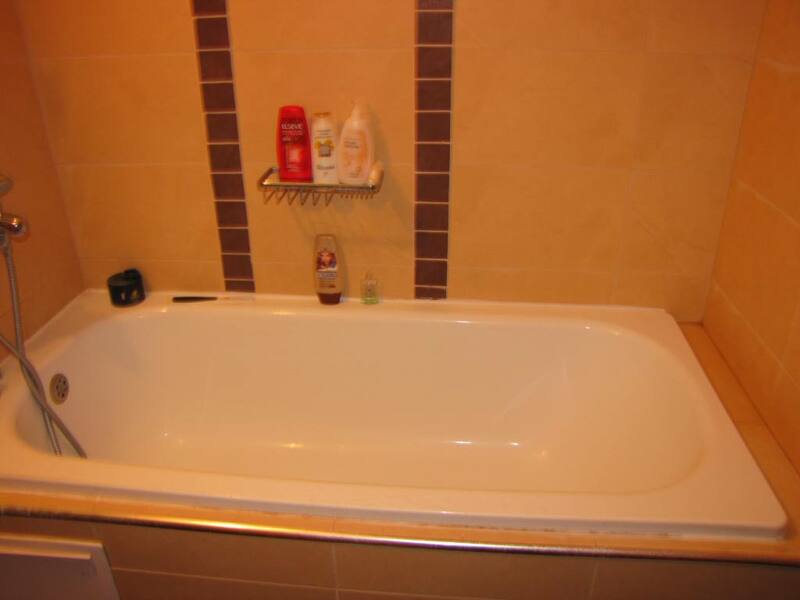 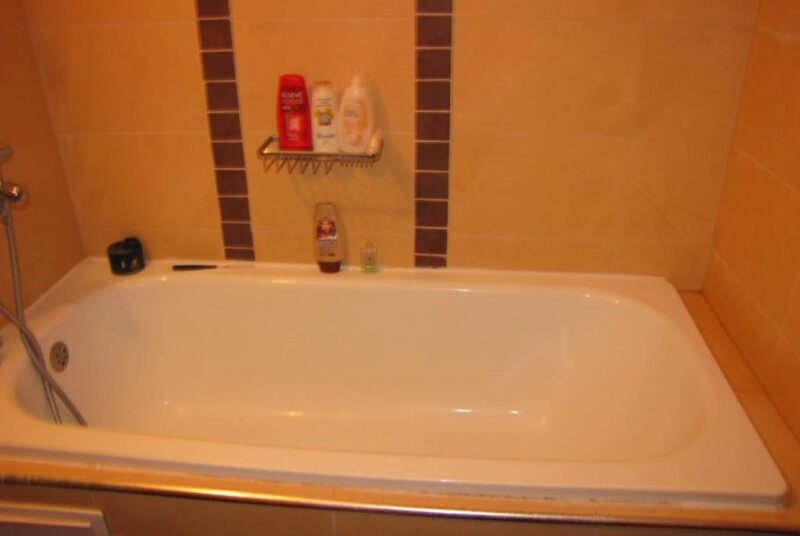 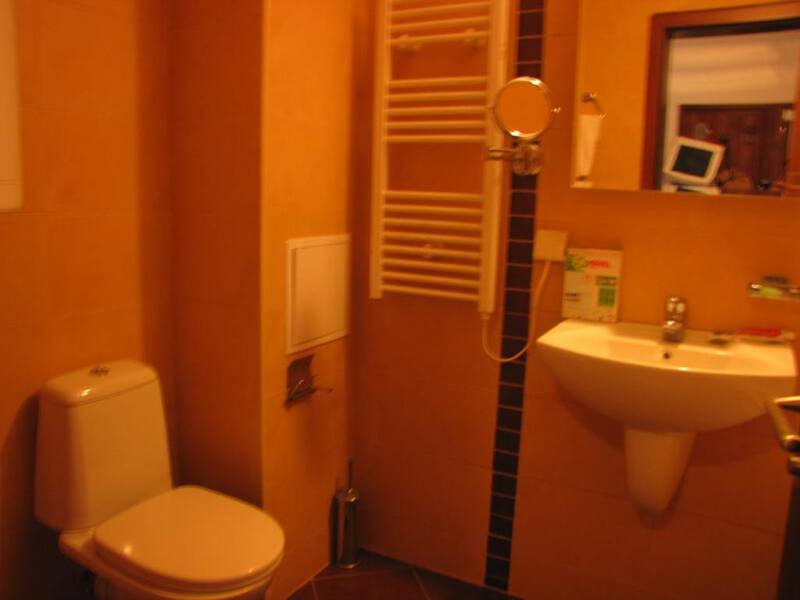 It has a large modern bathroom with bathtub and shower fitting, toilet and wash basin – fully tiled from ceiling to floor. 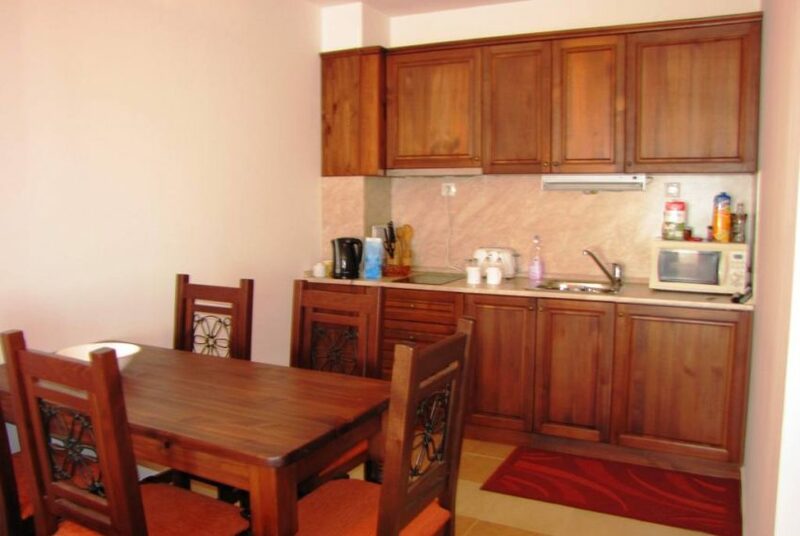 The open plan kitchen is wooden design which is in keeping with the rest of the furniture so it blends in well. 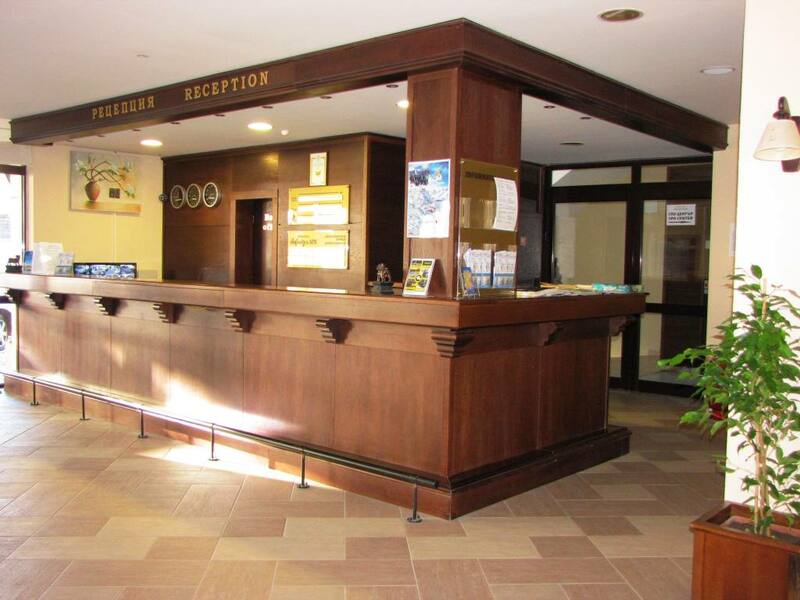 The complex has good security with a card entry system to each block. 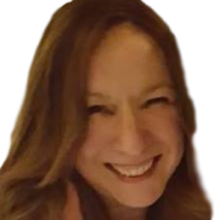 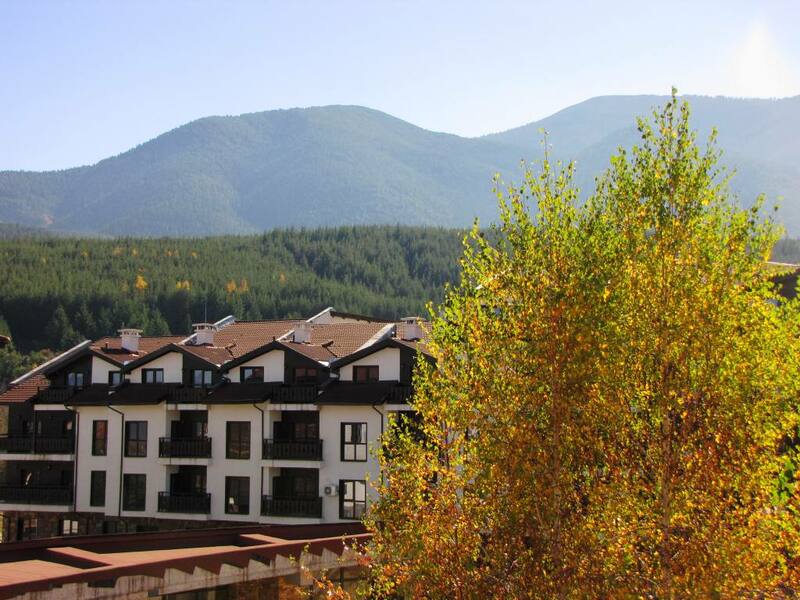 This apartment is perfect for personal holidays or renting out and is definitely high on my recommendations if you are looking to buy a good quality 1 bedroom apartment for sale in Winslow Infinity and Spa Bansko. 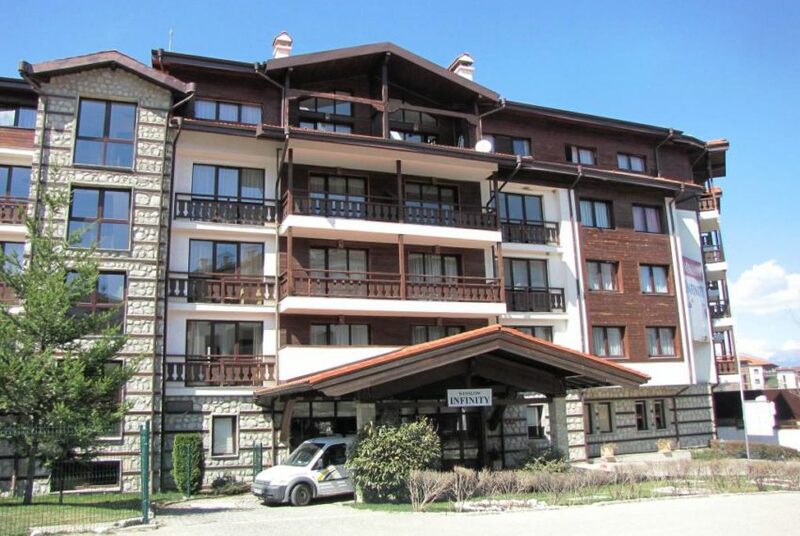 See our virtual tour below of this 1 bedroom apartment for sale in Winslow Infinity and Spa Bansko. 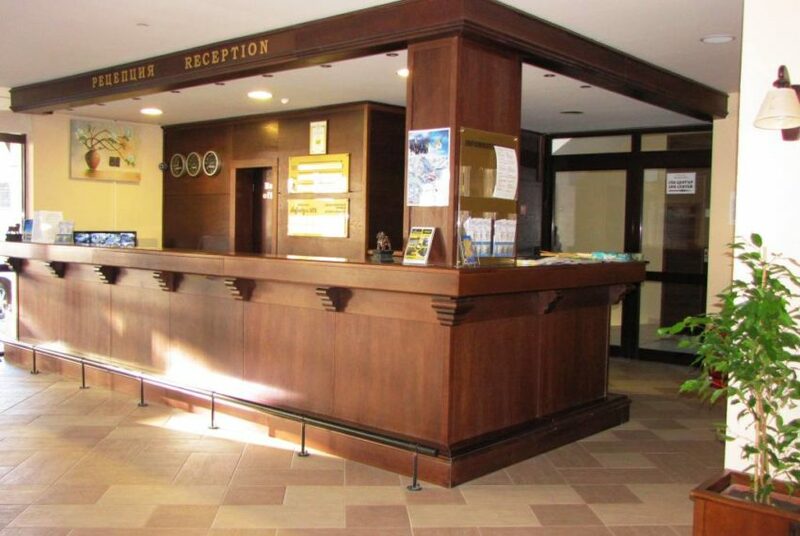 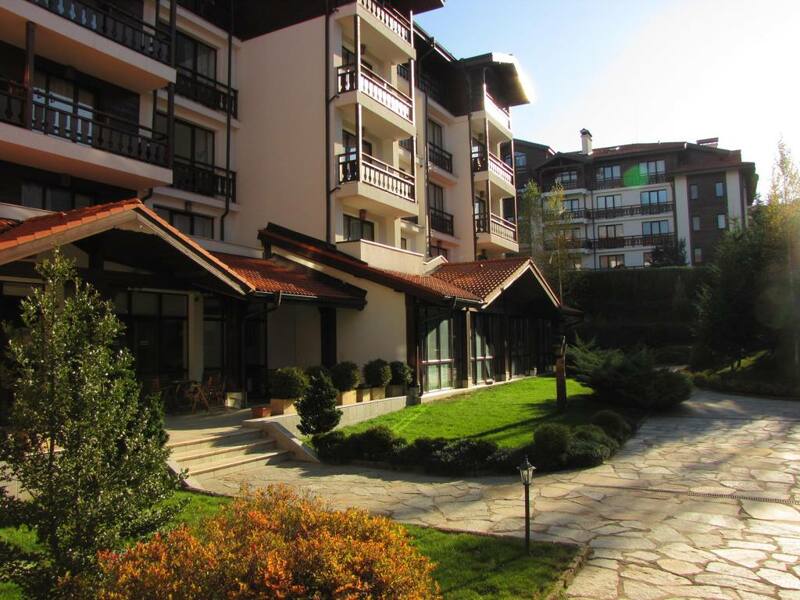 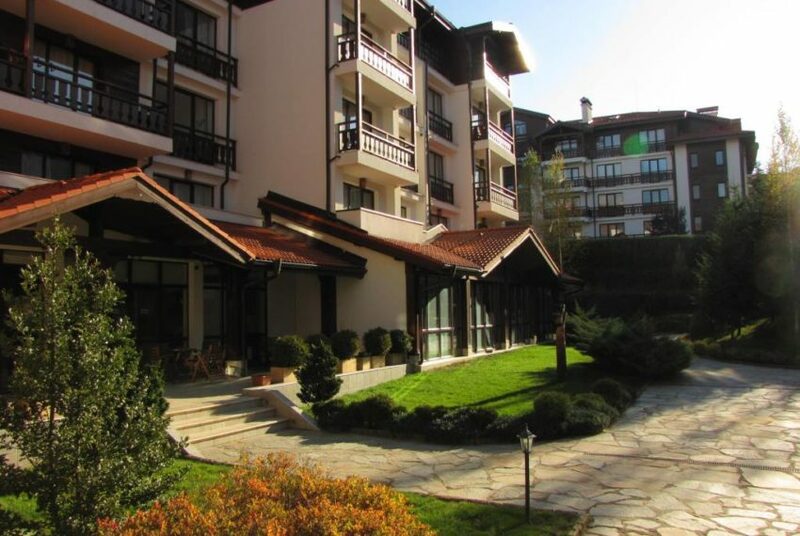 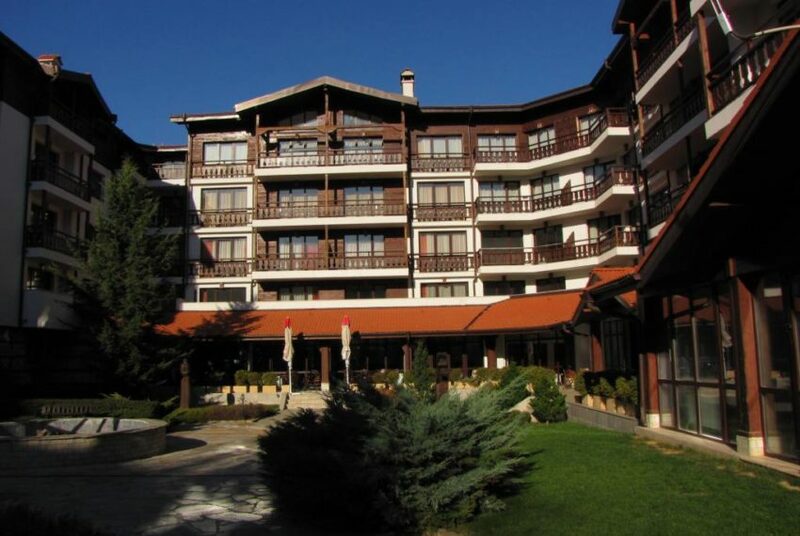 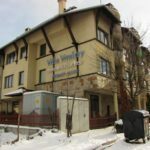 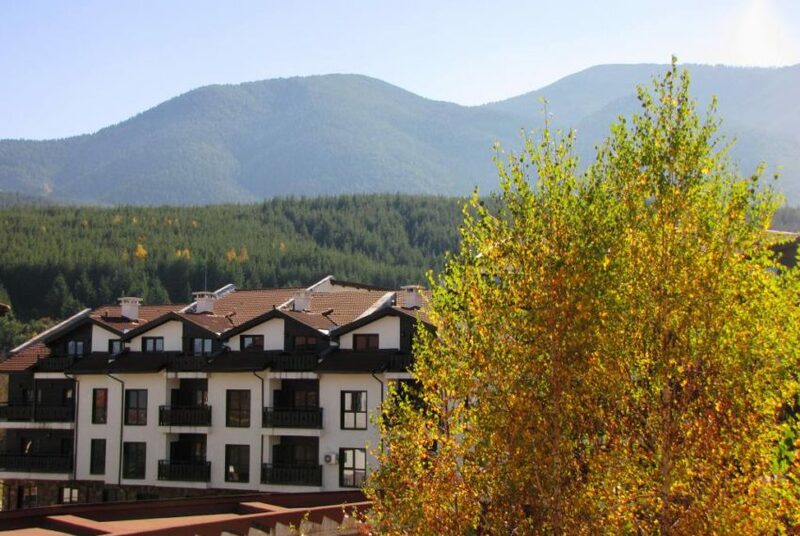 The details we provide for this 1 bedroom apartment for sale in Winslow Infinity and Spa Bansko are prepared as a general guide only, and should not be relied upon as a basis to enter into a legal contract, or to commit expenditure. 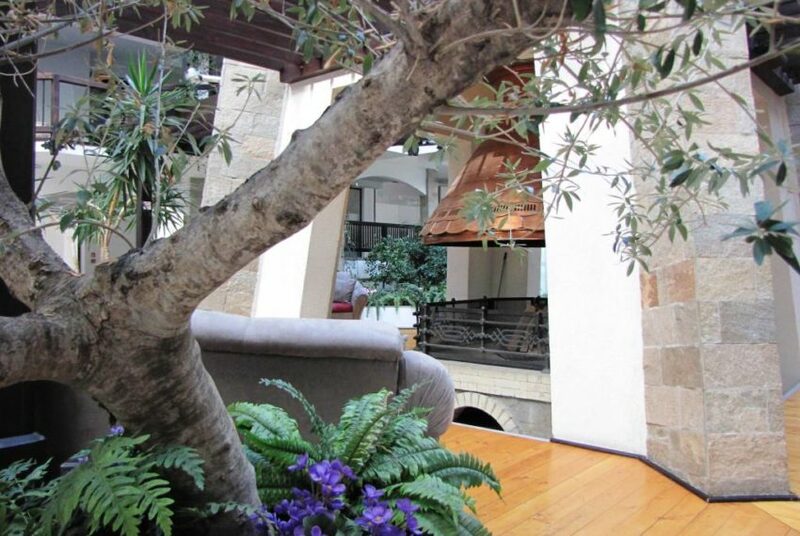 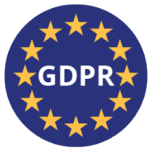 Any interested party should satisfy themselves or consult their own professionals before committing to any expenditure or other legal commitments.